Medium efficiency filters are mainly used in central air conditioning and centralized air supply systems. Medium efficiency filters are usually as first or second stage filters to protect high efficiency filters and extend service life,sometimes,they can also be final stage filters. Medium efficiency filters are mainly used for filtering dust particles between 1-5um. 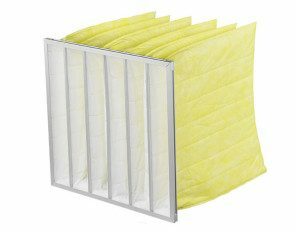 There are several types of medium efficiency filters,pocket types and v bank types are popular. Dust particles absorption influences pressure drop,when pressure drop increases, fan power becomes larger to maintain wind speed,cost will be higher accordingly. 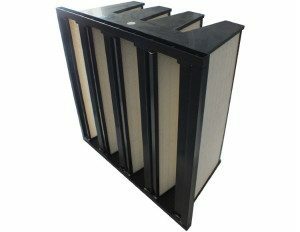 To avoid above situation,medium efficiency filters needed to be changed within 3 or 4 months within rated airflow situation. Check medium efficiency filters regularly would be a good idea. As a medium efficiency filter manufacturer,we can design filters for your HVAC projects,we are looking forward to making business relationship with you soon.